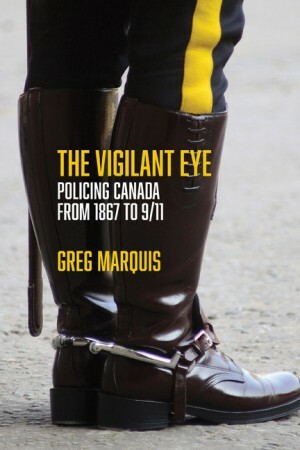 Greg Marquis, professor of history in the Department of History and Politics at UNB Saint John, has published a book on the history of policing in Canada entitled The Vigilant Eye: Policing Canada from 1867 to 9/11 (Fernwood Publishing, 2016). In The Vigilant Eye, Marquis combines the narrative and chronological approach of traditional institutional history with the critical approaches of social history, legal history and criminology. The book begins with the English and Irish roots of nineteenth-century British North American policing and traces the development of the three models of law enforcement that would shape the future: the local rural constable, the municipal police department and the paramilitary territorial constabulary. Greg Marquis received a BA (Honours) from St. Francis Xavier University in 1980 and an MA from the University of New Brunswick in 1982. He obtained a PhD from Queen's University in 1987 where his dissertation was on the history of the Toronto police force.